A new and complete revision of a landmark text. This comprehensive compilation of state-of-the-art information is the essential resource on educating visually impaired students, the essential theory forming the knowledge base, and methodology of teaching visually impaired students in all areas. This completely revised, updated edition reflects federal guidelines on educational programming, specialized assessment, and critical knowledge on the core curriculum and expanded core curriculum. 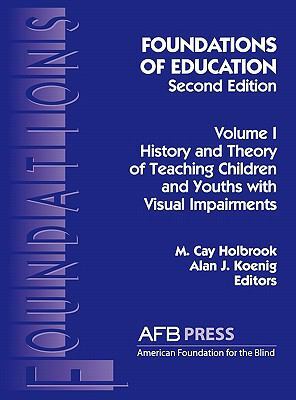 A must-have for educators, administrators, policy makers, and allied in the visual impairment field!Koenig, Alan J. is the author of 'Foundations of Education History and Theory of Teaching Children and Youths With Visual Impairments' with ISBN 9780891283409 and ISBN 0891283404. Loading marketplace prices 50 copies from $1.50 How does the rental process work?